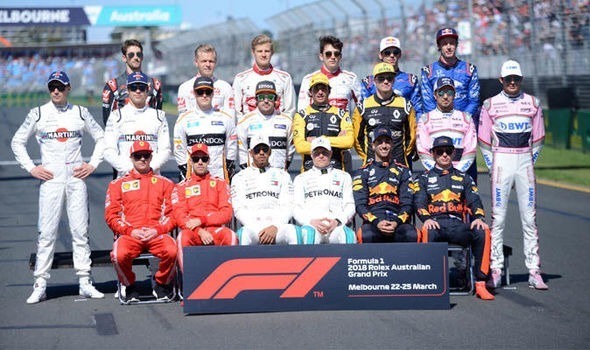 Driving an F1 race car can be a stressful and demanding job but in some cases, the pay packet can be astronomical and we’re going to tell how much each driver is getting paid in 2019. Idolising Michael Schumacher and dreaming of one-day racing in Formula 1, Albon gets his wish with another team from Italy. After a patient wait for his big break, Albon will do his talking on track with Toro Rosso in 2019. A stylish over-taker with a championship mentality, Albon was unlucky to miss out on the crown. Charles Leclerc – who pipped him to the 2016 GP3 title – also rates Albon as a top guy and a top-class driver. A refusal to cede ground to his rivals – and commitment to a tricky pass – underpins Russell’s winning mentality. McLaren had the British teenager on their books for two years before fast-tracking him into F1’s galaxy of stars in 2019. Norris is an exciting talent, proving to be a firecracker in his junior career with a penchant for pole positions and wheel-to-wheel tussles. Championships and titles have come easily and often with accolades attached, including becoming the youngest winner of the competitive Formula 3 European series at age 17. An outing in the Daytona 24 Hours saw him turn on the pace in changeable conditions and impress his illustrious team mate Fernando Alonso. His intrinsic speed and ability to adapt to circuit conditions make him a valuable asset – and he’s already a proven podium contender. It is eight years since Robert Kubica – once rated as a future F1 world champion – suffered multiple injuries in a rallying crash and his hopes of fulfilling that potential faded. His return for Williams, in 2019, ranks among the sport’s most inspiring and unlikely comebacks. The fact that Kubica himself never gave up hope illuminates the unshakable determination that also drives him on track. Kubica is a racer’s racer. His commitment to competition all consuming – that’s why he went to race rally cars on his weekends off. Poland’s first F1 driver had blistering natural speed and racing intelligence to rival his peers Lewis Hamilton and Fernando Alonso. But this is a new era for Kubica, who is now competing against next generation stars and old rivals that have gone on to greatness. The question marks over his physical abilities have been ironed out with impressive pace and mileage in a rigorous rehabilitation programme with Williams – but wrinkles of doubt remain. Only the full season ahead will tell if Kubica, still carrying the scars of his injuries, can hustle his way through the pack and perform his old trick of eking performance out of the car beyond its capabilities. He may be a second-generation F1 driver – following his father Jan onto the grid – but Magnussen’s idols are from the ‘golden era’ of Grand Prix racing when the likes of Juan Manuel Fangio and Stirling Moss risked it all for the love of the sport. The Roskilde racer’s own prowess was proven on debut for McLaren, who guided him through the junior ranks, when he cruised into the top-three at the Australian Grand Prix, becoming the first Dane to claim a podium in F1. There is no such thing as too much too soon for Stroll, a teenage sensation with a wet weather predilection. One of the cool kids on the grid, Stroll was unveiled shortly after his 18th birthday by Williams – before he finished high school and got his road licence. Stroll meant business in his debut 2017 season, setting records on the way. An opportunistic racer he bounded onto the podium in Baku, the youngest rookie to do so. As the son of a wealthy entrepreneur, Stroll is used to a champagne lifestyle but now he knows the fizz tastes all the sweeter on the rostrum. Then in Monza he mastered the downpours to become the youngest driver in history to line up on the front row. The flying Frenchman was called up to make his 2017 debut in Malaysia in place of Daniil Kvyat and, after proving his mettle, he was named as Toro Rosso driver the following year. But just 12 races into his fledgling career, Gasly was called off the bench again – this time to replace Red Bull big gun Daniel Ricciardo. Gasly seems to have a knack of being in the right place at the right time – a quality that’s equally handy on track. A series of impressive 2018 performances for Toro Rosso – including a brilliant fourth place in Bahrain – show exciting promise for what he might do with the ‘A’ team in 2019. High-speed haute cuisine is on the menu in the Grosjean household, where head chef Romain is also a racing star. Quick and with a natural feel for braking and balance, Grosjean has the right ingredients to cook up a storm on track. Tussling and hustling at the front of the pack, the French racer claimed a series of impressive podiums for Renault before moving to spearhead the Haas team. Like the best chefs, the Geneva-born driver occasionally breaks a few eggs. Renault handed Grosjean his debut halfway through the 2009 season, but a mix of inexperience and enthusiasm saw him move back to the subs bench before making his F1 return in 2012. A one-race ban after triggering a pile-up in Spa seemed to be the final arc of the learning curve for Grosjean. Practically peerless on his way to the GP3 and Formula 2 crowns, he showcased a dazzling array of skills from scorching pole positions, commanding victories – even when his car caught fire twice at Silverstone – to an ability to muscle his way through the pack. Winning back-to-back championships also taught Leclerc how to handle pressure, another useful tool in the big pond of Formula 1 racing. After following in his famous father’s tyre tracks, Sainz now has big racing boots to fill at McLaren where he replaces his childhood hero Fernando Alonso in 2019. He’s the Superhero with the talent to become a racing superstar – if only he could get to flex his muscles with a top team. F1’s ‘Hulk’ has shown incredible strength and stamina as a midfield marauder for Williams, Force India, Sauber and Renault during a career spanning back to 2010. Raikkonen has a cult status in F1 like no other driver of his generation, but if you ask him why he just shrugs. Maybe it’s because of the rugged, raw talent that inspired Sauber to give him his debut in 2001 – and re-sign him for 2019. Or the fast and fearless racing that led to memorable McLaren wins. Or the never-say-die attitude that clinched the 2007 world title for Ferrari by a single point. Or maybe it’s because this is the ‘Iceman’ who jumped straight into a Jacuzzi on his yacht after retiring in Monaco and who enjoyed an ice cream when a soggy Malaysian GP was red-flagged but still live. Bottas explains that if you can drive on the frozen roads of his homeland then you can drive anywhere. Then there’s the Finnish mentality –reserved, diligent and calm the fast lane of F1 doesn’t faze him. Making his F1 debut with Williams in 2013, Bottas soon became part of the family. Points and podiums followed with the reliable racer even amassing the most points without a win, a record he resented but that showcased his ability. The fact the Finn was such a points machine saw him suddenly promoted to the most coveted seat in F1 – Nico Rosberg’s vacant championship-winning seat at Mercedes. Bottas blossomed at the Silver Arrows in 2017, unleashing his pace to clock up personal pole positions and victories as well as a team championship for the famous Mercedes marque alongside Lewis Hamilton. He even tied with Hamilton and Sebastian Vettel with 13 podiums. Arriving as Formula 1’s youngest ever competitor at just 17 years old, Verstappen pushed his car, his rivals and the sport’s record books to the limit. The baby-faced Dutchman with the heart of a lion took the Toro Rosso – and then the Red Bull – by the horns with his instinctive racing style. F1’s youngest points scorer soon became its youngest race winner – at the age of 18 years and 228 days – with an opportunistic but controlled drive on debut for Red Bull in Barcelona. A true wheel-to-wheel racer, another stunning drive in Brazil from the back of the pack to the podium on a treacherous wet track kept the plaudits coming. A regular podium-finisher, Ricciardo has christened the steps around the world with a dousing of Aussie culture – the ‘Shoey’ – as he quaffed champagne from a soggy racing boot. Yes it’s goofy, but the trademark celebration illustrates why he is loved for his sense of humour but never underestimated on track. Vettel’s trademark is pure pace – and of course his one-finger victory salute. In the chase to the chequered flag, he likes to lead from the front and just like his hero, Michael Schumacher, Vettel has settled in as a race-winning leader at Ferrari. Since his move to Maranello, Vettel’s rivalry with Lewis Hamilton has intensified. Opposites off track – Hamilton leading a glamorous public life while Vettel is a private family man – the duo are evenly matched on Sundays as they bid not just for more world titles, but to be hailed the best of their generation. Could he be the G.O.A.T? Few would deny that he’s in the conversation – and what’s more he’s got there his way, twinning his relentless speed with a refusal to conform to stereotypes for how a racing driver should think, dress or behave. Respect is hard earned in F1, but Hamilton has it from every one of his peers. Why? Because they know that whatever the track, whatever the conditions, whatever the situation, when his visor goes down and the lights go out, it’s Hammertime. Mercedes and associates will be dishing out a staggering $57-million for Hamilton’s services, with Vettel reportedly banking $12-million less but will still take home $45-million. To put that into perspective: the combined salaries of the rest of the 18 drivers amounts to about $65-million. Third on the list, thanks to his move from Red Bull to Renault is Ricciardo whose salary has jumped to $17-million, a tad more than his former teammate Max Verstappen will earn. The Dutchman is fourth on the list. Who do you think is under or overpaid? Let us know in the comments below.